Are you ready to start enjoying the powerful benefits of a vegetarian diet? 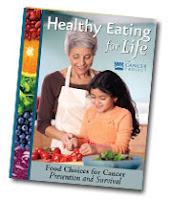 Some dietary changes have a preventive effect for many types of cancer. Boosting your intake of vitamin-rich vegetables and fruits, for example, strengthens your immune system and helps knock out cancer cells. To help prevent cancer, it is also smart to avoid meats, dairy products, and fried foods. Choosing fiber-rich legumes, grains, vegetables, and fruits helps keep many types of cancer at bay. Plant foods also contain a wide variety of cancer-fighting substances called phytochemicals. These facts all point to choosing a vegetarian diet to help prevent cancer and improve cancer survival. Studies of vegetarians show that death rates from cancer are only about one-half to three-quarters of those of the general population.